Non-choke! All straps adjustable, snaps at all points, brass or stainless steel hardware. 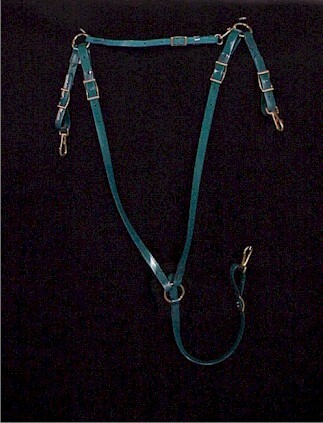 BC02 Solid color with contrasting overlay - overlay on each side of neck and 6” on strap below chest ring. Breast collar Replacement pads. Easy care felt bottom with quick Velcro closure. If you do not find what you are looking for on our website, call or email us, we regularly accept custom orders. 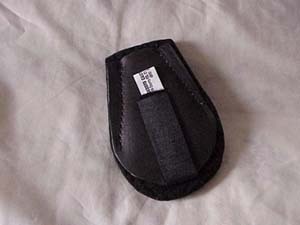 We also repair and refurbish all makes and models of saddles.